NICK CAPACI and JONDE NORTHCUTT are co-founders of the fine art atelier, BLUESTONE EDITIONS, in Orange County, California. 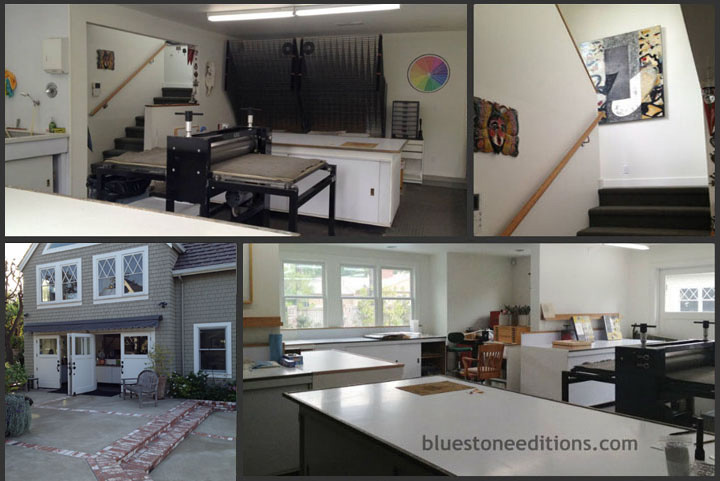 The atelier was established to create a space for artists to explore various fine art printmaking processes, book arts, encaustic painting and alternative photography mediums. Capaci and Northcutt are pioneers in the instruction of monotype and water based intaglio (known also as solar etching). For over twenty years, they have instructed at their private studio, in addition to presenting workshops at universities, art schools and museums throughout the USA. They have facilitated various art venues with the "Arts in Corrections" program within the California correctional facilities and with California Department of Mental Health "Arts in Mental Health" Program. 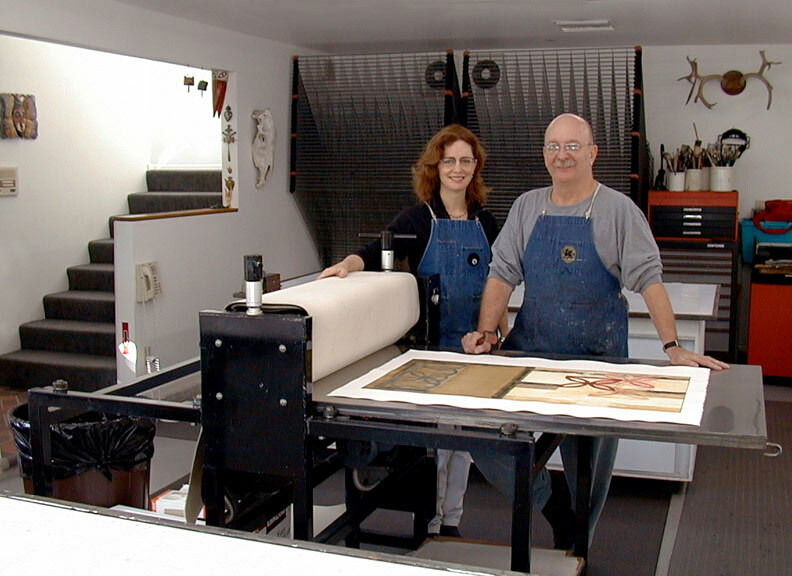 Nick and Jonde have co-created instructional videos on the fine art printmaking processes of “Water-based Monotype” and “Relief Printmaking.” Their art work is in numerous corporate and private collections worldwide. Click here to go to NICK CAPACI's website. Click here to go to JONDE NORTHCUTT's website.